Directions For Zero Carb Isopure: For a rich, thick shake, mix 2 scoopfuls (65g) with 12 fluid ounces of water in a shaker or blender. If a shaker or blender is not convenient, Isopure can be stirred into solution with a spoon. Ion Exchange Whey [Milk] Protein Isolate, Microfiltered Whey [Milk] Protein Isolate, Vitamin/Mineral/, Amino Acid Blend, (Taurine, Potassium [As Potassium Chloride], Chloride [As Potassium And Sodium Chloride], Calcium [As Dicalcium Phosphate Dihydrate], Phosphorus [As Dicalcium Phosphate Dihydrate], L-Glutamine, Magnesium [As Magnesium Oxide], Vitamin C [As Ascorbic Acid], Vitamin E [As DL-Alpha Tocopheryl Acetate], Niacin, Zinc [As Zinc Sulfate Dihydrate], Vitamin A [As Palmitate], Pantothenic Acid [As D-Calcium Pantothenate], Vitamin B6 [As Pyridoxine Hydrochloride], Copper [As Amino Acid Chelate], Manganese [As Manganese Sulfate Dihydrate], Riboflavin, Thiamin [As Thiamin Hydrochloride], Folic Acid, Biotin, Iodide [As Potassium Iodide], Chromium [As Amino Acid Chelate], Vitamin K, Molybdenum [As Amino Acid Chelate], Selenium [As Amino Acid Chelate], Vitamin B12), Soy Lecithin, Natural And Artificial Flavors, Caramel Color, Sucralose. الطعم جيد جدا، والعيب ان المشروب يجي خفيف مثل الموية وهذا اللي مخليه زيرو كارب. It tastes amazing , no after taste, Blends super well in smoothies .. Tastes best with Yogurt .. Loved it ... True to its statements !! Alpine punch should win hands down the artificial syrup award if there are any. The worst taste i have experienced so far in all i have sampled. The contents are what motivates me to close my nose and gulp the whole thing in one shot. 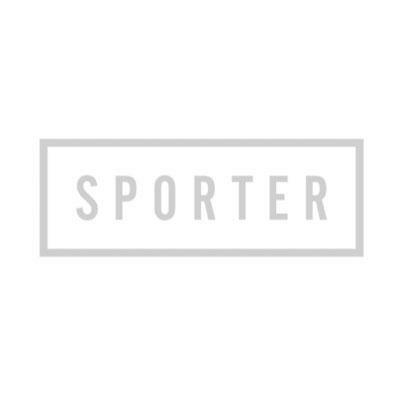 Sporter seems to be selling the ones that have worst taste reviews in this brand. Fast delivery.